What do QR codes & Mobile Websites have in common? A QR code must have a Mobile Site to link to or the marketing effort of using such a QR code is totally in vain. QR codes, or Quick Reference codes are a rather recent and successful way to capture a person on-the-go and drive them to an advertiser’s website. QR codes are the 2-dimensional version of the 1-dimensional barcodes used in countless ways and reasons. The usage of these codes is without limit and being used across all industries thanks to the smartphone revolution worldwide. Smartphones are already present in half of the entire population of several countries (44% of Spain, 45% of England for example according to Google statistics released in February 2012). Statistics on the world’s usage and user behaviour of mobile internet are mindblowing and absolutely clear why a QR code must lead to a Mobile Website to be effective. Amongst the many parameters shown in these statistics, simply knowing that the conversion rate of mobile websites are averaging 35% (meaning that one third of visitors to a mobile website contact the business either by phone, email or by visiting in person), make it a must and a AAA winner compared to the merely 2% conversion from ordinary PC’s. Businesses who currently do not have a mobile optimised version of their website, statistically lose over 70% of its visitors who leave such a non-optimised site within seconds…and what is even worse, these disappointed visitors never return to visit your business and are most likely not to recommend your business to other people. There are countless ways to use QR codes. You decide what your prospects will get to see when they scan your code. Obviously the more intelligence you use in applying these codes, the better results you will have. But the most important thing is that yoru QR code links to your Mobile Website and not a regular desktop site for the reasons briefly mentioned above. 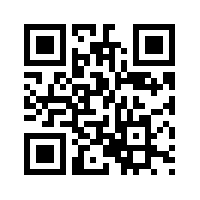 Scan to see what happens! Once you’ve scanned this code, you have a few options depending on the QR code application you are using, amongst them opening the website address that is coded within this image. If you are interested to learn how you can use this code for your business, or need help on creating QR codes, we’d be happy to help you during a free consultation. OptimaSit in Marbella has helped many businesses worldwide to increase their sales and convert prospects into clients by simply implementing proven techniques at very low cost. We’d be happy to also help your business gain more clients and reduce the cost of obtaining clients and increase sales significantly. Many of our clients spend much less money by implementing our solutions, including the small investment of our solutions. Learn today how you can make more money with spending less!